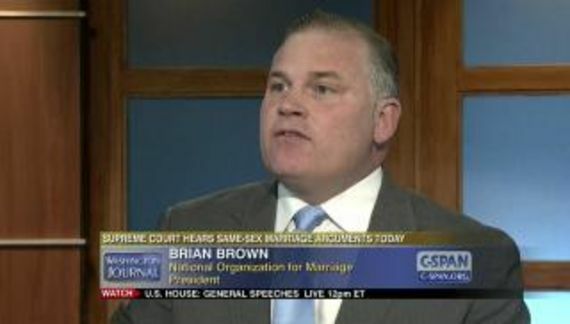 Brian S. Brown is president of International Organization for the Family, an anti-LGBT hate group. IOF is just an assumed name for the Howard Center for Family, Religion and Society. Fiscal year 2016 revenues were $741,601 and it had only four employees. It is not a gargantuan operation. IOF is closely aligned with right-wing strongman Viktor Orbán of Hungary. IOF and Viktor Orbán both need an enemy and that would be George Soros. As an aside, Orbán attended Oxford on a Soros scholarship. But I digress. 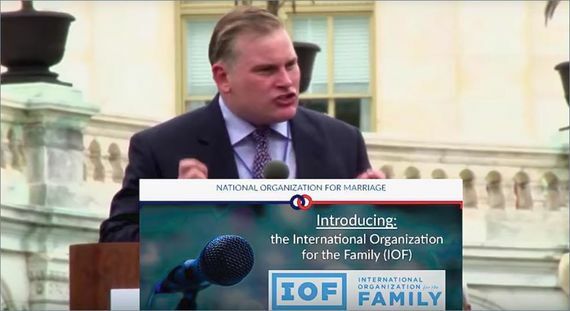 Dear Friend – The International Organization for the Family (IOF) is coming under intense attack from wealthy forces on the left including billionaire George Soros. The latest assault is a lavishly funded television "documentary" aired throughout Europe that attacks us as the mastermind behind the worldwide pro-family movement, and uses fake news to slander us as somehow being controlled by shadowy Russian operatives and waging a crusade against the rights of women. Of course, we are at the center of the worldwide pro-family movement, but the rest of the allegations are nothing but lies. Nothing like a little humility. It all depends upon how you define pro-family. I suspect that UNESCO has a bit more funding and a bit more impact but that's just a guess. I must agree with Brown in part. Any documentary claiming that he is the mastermind of anything is seriously flawed. I have been unable to find this documentary. If any readers are better at this and discover it somewhere, please let me know by email. The best way to fight back against these attacks is to go on offense, doubling down on our pro-family efforts. That's why we've launched an important Spring Membership Drive, which will help strengthen our finances and give us a stronger foundation from which we can oppose damaging policies and ideas, and promote and protect the goodness of the natural family, which is central to human and societal flourishing. Will you help?